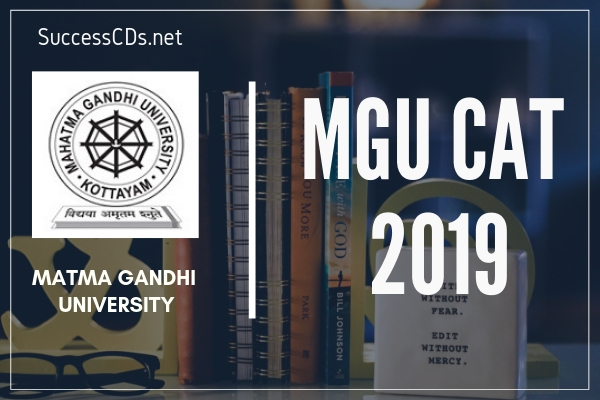 MGU CAT 2019 Notification - Applications are invited for Mahatma Gandhi University Common Admission Test (MGU CAT) 2019 for admission to the Post Graduate academic Programs in the Statutory Teaching Departments and Inter School Centre of the University for the academic year 2019-20. All the admissions are through Common Admission Test (CAT-MGU) with the exception of M.Ed. Programs for which both the score in Entrance Test and the marks for qualifying examination will be considered for preparing the rank list. Foreign Students Quota : An additional 10% of seats or 2 seats, whichever is higher is earmarked for foreign students for each PG Program in the University Teaching Departments. The candidate should first create an account in the web page by typing in the required minimum personal details and by creating a password for future login.